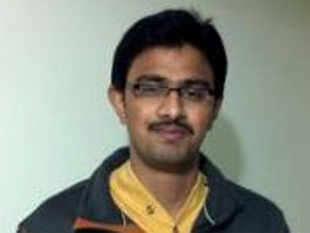 An Indian engineer was killed in a shooting in a Kansas City bar on Wednesday, an attack that some eyewitnesses said could be racially motivated. Srinivas Kuchibhotla, 32, died at a hospital and his colleague, also an Indian, sustained bullet injuries after a white man opened fire in the crowded suburban bar. Adam Purinton, 51, the alleged shooter, thought they were Middle Easterners and was heard telling them to “get out of my country” at the time of the shooting. He was charged with murder and attempted murder on Thursday. Kuchibhotla is possibly the first casualty of the religious, racial and ethnic divisiveness that has swept the US following the election of President Donald Trump, with minorities such as Jews and Muslims reporting a surge in attacks on them and their institutions. “The murder of Kuchibhotla is the first reported bias-motivated fatality in the United States after the bitter Presidential election,” according to the Hindu American Foundation. Kuchibhotla was employed with the Garmin headquarters in Olathe. His colleague, Alok Madasani, was with him at the bar when they came under fire. Ian Grillot, a white man, was also injured in the shooting and reportedly put his life in risk to save the Indians. Originally from Hyderabad, Kuchibhotla was a B. Tech in electrical and electronics engineering from the Jawaharlal Nehru Technological University. He had a master’s degree from the University of Texas, El Paso. Madasani graduated from Vasavi College of Engineering in 2006, and came to the US as a Master’s student at the University of Missouri-Kansas City. Kuchibhotla is survived by his wife Sunayana, according to a GoFundMe page. The couple had no children. The two Hyderabad men would visit the Kansas bar twice a week to have a smoke and a few Jameson whiskies, a server at the restaurant recalled. They were known as the “Jameson guys” at the bar where they were shot late on Wednesday. It was supposed to be just another evening for Ian Grillot who had walked into his favourite bar to unwind and catch the local basketball game. Instead, the 24-year-old is now firmly in the spotlight after getting wounded while trying to save two Indians from gunfire. As shots rang through the suburban Kansas City bar on Thursday, Grillot ducked behind a table and when he thought the gunman was out of bullets, he lunged at the man. But as the Kansas City Star reported, the man had still one round left and shot Grillot through the arm and chest. “I guess I miscounted,” Grillot said in a video released by the University of Kansas Health System, as reported by the newspaper. Hours later, US prosecutors charged 51-year-old Adam Purinton with murder for an attack that some witnesses said was racially motivated. Srinivas Kuchibhotla, 32, died while Alok Madasani, 32, and Grillot are hospitalised and are in stable condition, police said. Grillot said in the video that he wasn’t really thinking when he tried to save the two Indians from the bullets. “It was just, it wasn’t right, and I didn’t want the gentleman to potentially go after somebody else,” the Kansas City Star quoted him as saying. Woke up to this ghastly news this morning. They were drinking at a bar giving business to your country's local people. Unfortunate. This mentally deranged shooter took it upon himself to enforce Trump's Immigration policies albeit incorrectly. Blind followers will always be there and commit such acts. If you feel like contributing to help the deceased person's family.. here's a link. P.S. This is totally upon your volition.. echarcha.com is not in any way related to this. lone wolf he'd be called in such a case.. BTW, they are super conscious and careful in describing it as a terrorist or even a racist attack. It has huge implications in prosecution. Tell about his career as engineer. A great leader once correctly identified such people... the despicables. But she was trashed and humiliated by people who thought it applied to themselves... and she was outvoted. Ha! You are saying that a 'mentally deranged' Muslim cannot exist? I saw a suggestion by a learned bong this morning on Twitter, hindu guys should put large tilak or teeka so not to be mistaken as muslim by an american. Though seems trump bhakt, but his suggestion make mighty sense. How will deranged person know Hindu or Muslim.. most Americans don't know Asia has India, Pakistan, etc.. they think Asia means Oriental i.e. Chinese, Korean, Japs. And it's not about Arabs or Muslims.. any alien is seen as outsider, no matter how many years you may have lived in US. ..... any alien is seen as outsider, no matter how many years you may have lived in US. So sad.... wish aliens had the luck of Indian Muslims where they aren't shot, but only threatened with 'go to Pakistan'.